Another major bridge in the New York City area is going cashless. 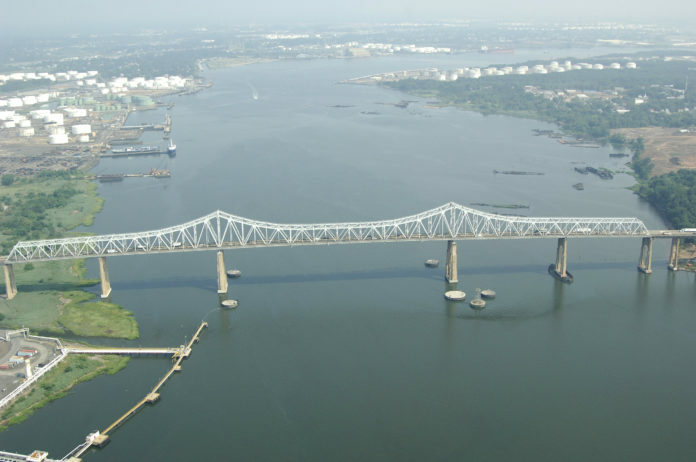 The electronic tolling system will debut at the Outerbridge Crossing connecting Staten Island with Perth Amboy, New Jersey next Wednesday. The Bayonne Bridge went cashless in 2017, and the Goethals Bridge connecting Elizabeth, New Jersey and Staten Island is scheduled to go cashless this fall. The Port Authority of New York and New Jersey says it will close the eastbound lanes of the Outerbridge overnight next Monday and Tuesday to prepare. Officials say cashless tolls at the Goethals and Outerbridge crossings will save motorists approximately 200,000 hours a year in travel time, decrease accidents and reduce emissions from idling traffic. and as usual be a huge cash cow for the liberal government of NY so that they can continue to redistribute wealth. If you travel across the Bayonne Bridge, Goethals Bridge, or Outerbridge Crossing, enrollment in the Port Authority NY/NJ Staten Island Bridges Plan is a great way to save money! If one or two trips are made across the Bayonne Bridge, Goethals Bridge, or Outerbridge Crossing in a calendar month, the toll for those trips will be posted to your account at the E-ZPass toll rate, based on the time the trip was made (currently $10.50 during off-peak hours and $12.50 during peak hours).